It seems that my whining about the poor Es this season has paid off. This afternoon we had the best east-west opening of the season with strong signals from all U.S. mainland call districts. The opening lasted for several hours and into the early evening with many 1's, 2's and 3's worked as well as several VE3's, which is always a rare treat. During openings like this, I always monitor the rising Es muf with a separate R-7000 receiver, squelched on one of the normally quiet FM channels. At times the Es muf was well into the FM broadcast band but despite watching 144.200 and calling CQ regularly, there was no sign of 2m Es today. Hopefully the good propagation will continue during the next few weeks and our somewhat disasterous season can yet be saved. Where Are The Es ? Having been on 6m now for over 40 years (yikes! ), like most 6m operators I've come to expect a fairly good number of Es openings by the end of June. This summer's Es season has been beyond poor, with far too many days looking much like Saturday morning's 6m propagation map (above) from DX Sherlock. 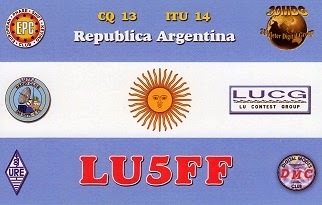 So far, the only bright spot for me has been a very short twenty-minute opening to Argentina and a CW QSO with LU5FF on May 24 at around 1500 hours local time. Most 6m ops feel that sunspot cycle peak years also produce poorer than normal Es activity so maybe this is all just normal...or perhaps our global climate shifts are having an effect on the triggering mechanisms for Sporadic-E, just 60 miles above our heads. 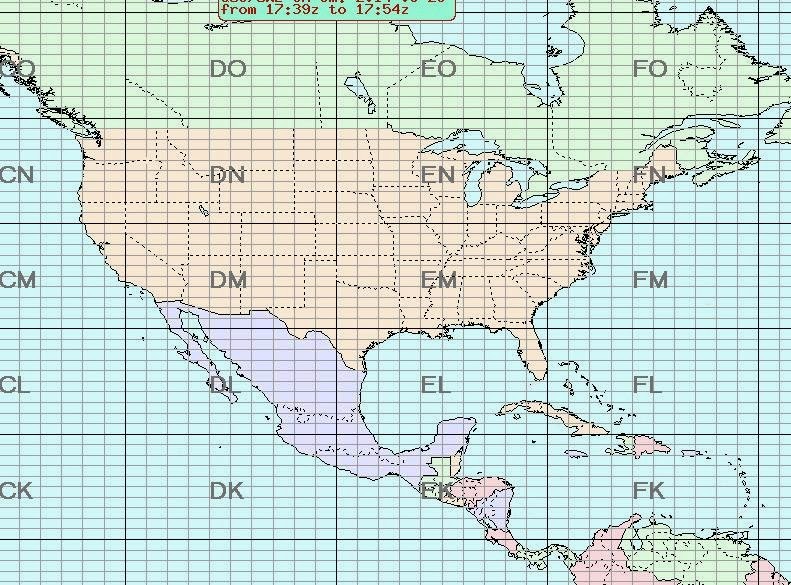 Real-time 6m propagation can be followed here; Region 2 for North America and Region 3 for Europe. After so many summers on six, I personally believe that the best propagation usually happens during the first week of July, so there is still hope for a really terrific month ahead and still time for whoever controls the magic to yet redeem themselves. Listening and working on 630m over the past few weeks was not my first exposure to this part of the spectrum. 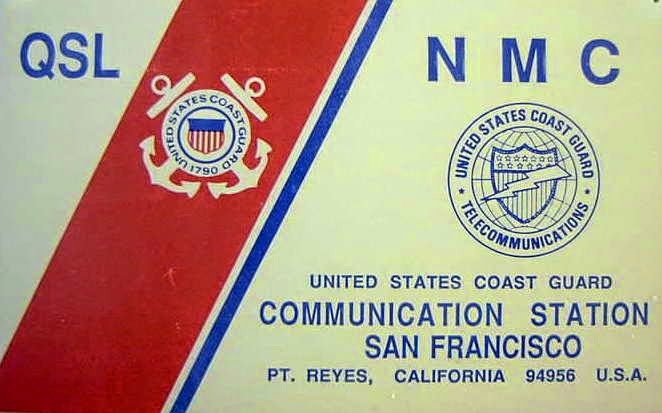 Years ago I spent many hours listening to maritime traffic on 500KHz CW on a little Sony ICF-2010 and an outboard ferrite bar loop antenna. 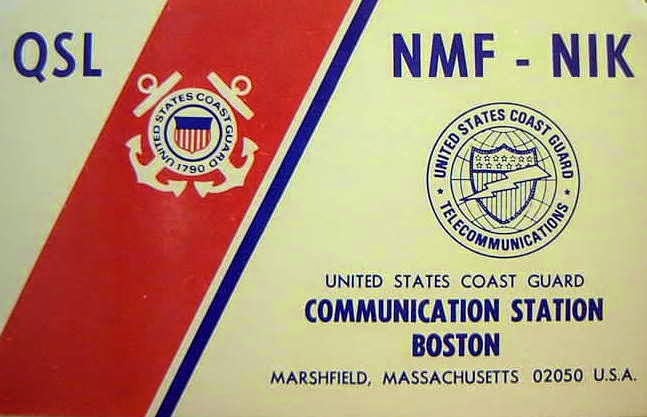 500KHz was the International MF distress frequency as well as the calling frequency for ship-to-shore CW traffic. 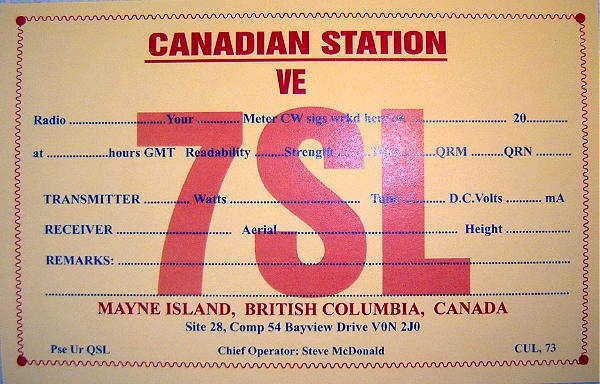 Ships calling land stations would be directed to 'QSS' to a working frequency once they had established contact on 500. These working frequencies were smack in the middle of what is now our 630m amateur band. 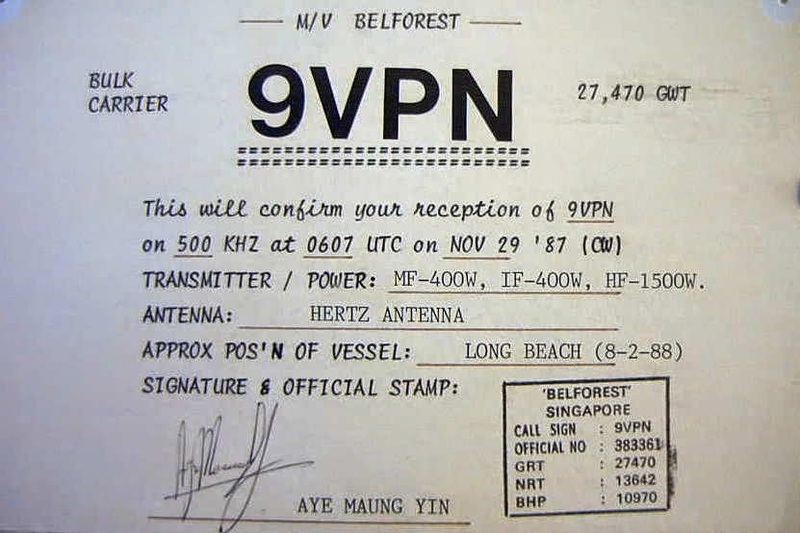 On winter nights with good propagation, I could often hear ships out near Hawaii or down in the Gulf of Mexico. 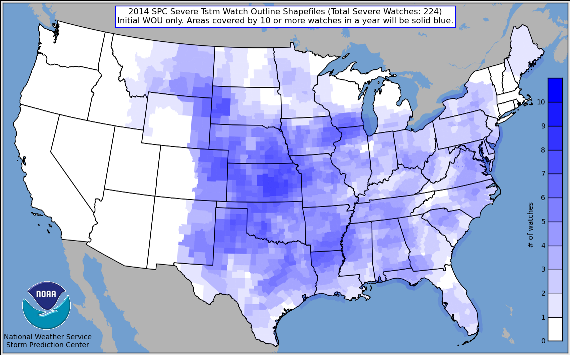 Even better nights would produce ships along the eastern U.S. seaboard. Our new band has great potential for some exciting DX opportunities...much more so than the 2200m LF band. Hopefully the U.S. will get the band soon. In the meantime, it is up to Canadians to get the North American ball rolling! Big signals from the land stations, particularly those operated by the USCG, dominated the band. Digging into my old QSL collection turned up a number of cards from '500'. From what I could tell, most of the ship Radio Officers used a hand key on the MF transmitter while on HF, most used bugs or keyers. The quality of hand-keyed CW ranged from perfection to abysmal and some nights it sounded as though the ship's oiler had been strapped to the seat and told to send CW. Most traffic consisted of provisioning requests or berthing information, as ships usually only used MF when arriving or departing their port. The ship's RO would often respond to a 'reception report' and happily fill in a prepared QSL. The cards were often returned with pictures and long handwritten letters, describing their radio equipment or life at home. Although CW Maritime operations have long been discontinued, the 'Primary' user of the 630m band is still the Maritime Service! 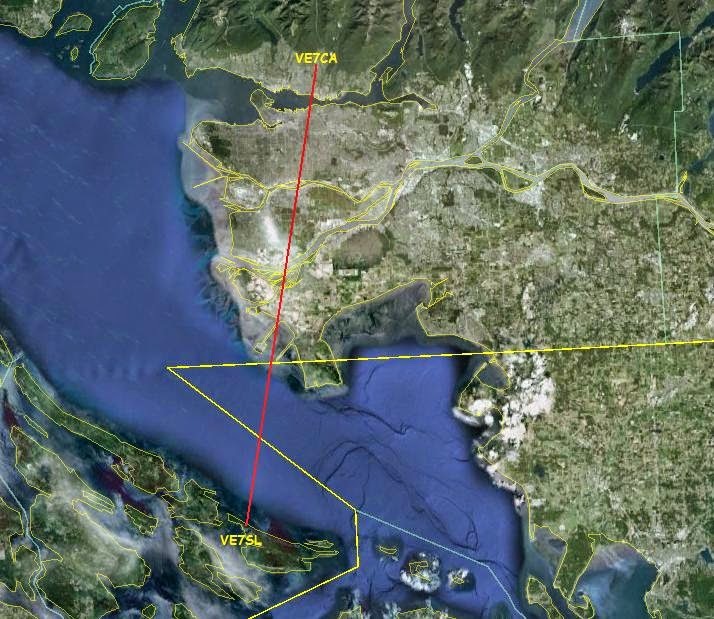 In the US and in Canada, the 472-479 kHz band is part of the larger 435-495 kHz segment allocated on a primary basis to the Maritime Mobile Service and on a secondary basis for government Aeronautical Radionavigation. I'm not exactly sure what the Maritime is doing on MF these days or what they plan to do, but I suspect it may be related to DGPS activity down the band. Canadian amateurs are Secondary users of 630m and as such, must not create interference with the primary user. I suspect that it might not be a great idea to create interference with the secondary users as well, although there are no NDB's in this section of the band in North America. If you plan to become active on Canada's new 630m ham band, one of the first things you're probably thinking about is an antenna and how to make it resonant. Without the proper instruments, determining antenna resonance below the broadcast band can sometimes require a combination of good luck and black magic! 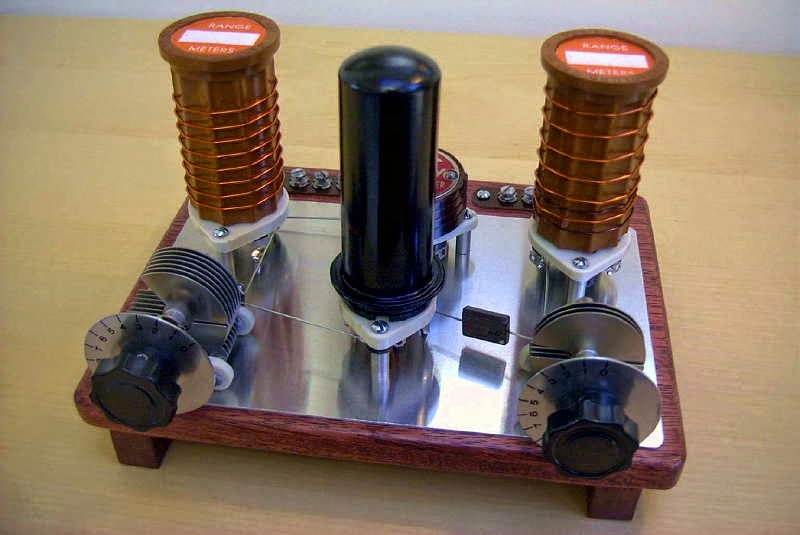 One of the most useful pieces of gear for me has been a simple 'antenna meter' designed by Lyle Koehler, KØLR, who was very active at one time on the 185KHz 'lowfer' band. Although the original circuit was designed to cover a lower frequency range, it can easily be modified to cover the 2200m and 630m bands. The device is actually a low power (~1/2w) VFO-controlled transmitter designed to look into a 50 ohm antenna system. 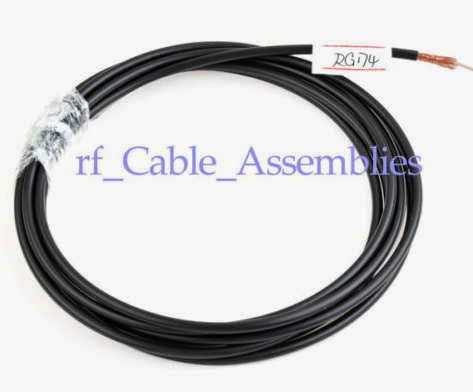 Since most LF antennas are matched to 50 ohms, either through a separate matching transformer or by tapping up from the bottom of the antenna's loading coil, the 50 ohm feedline from the antenna system is simply connected to the antenna meter's output and the VFO tuned for maximum deflection of the meter. The resonant frequency is then directly read from the calibrated scale of the antenna meter's dial. With most backyard LF antennas having a very narrow bandwidth along with a high-Q, the meter peak is quite sharp and easy to find. Look for a peak meter reading between 50-70ma as you sweep the VFO across the antenna. 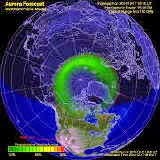 Normal current values will be very low until resonance is hit. KØLR's original article gives more details and can be found here. The 470pf capacitor (C in my diagram) determines the basic frequency range. To modify the circuit for dual range (both 2200m and 630m), I added a SPDT switch at pin 1 of the IC so that I could switch the value of "C". For coverage down to and below 136KHz, I used ~ 725pf (a 680pf + 47pf in parallel) while high end coverage up past 500KHz required just 250pf (220pf + 27pf in parallel). These values should get you very close to the required ranges and once installed it is an easy task to calibrate the tuning scale by listening to the signal on a receiver or measuring it with a frequency counter. I also chose to install the 1M 'modulation' resistor that gives the signal a distinctive FSK note. The meter will quickly tell you if your antenna is too high in frequency (capacitive) or if it is too low (inductive) so that the proper corrective measures may be taken to resonate it within the 630m band. 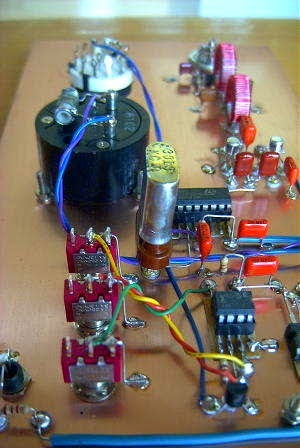 Once resonant, attention can then be paid to bringing the impedance match as close as possible to 50 ohms and a 1:1 match. 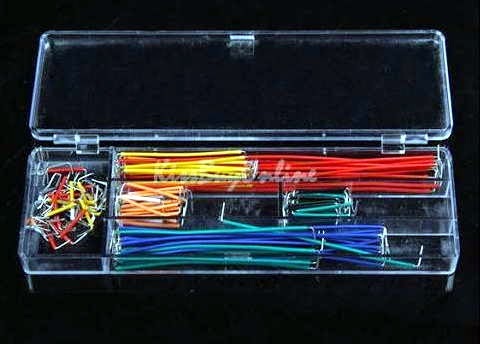 Depending on your method of impedance matching, there may be some interaction between tuning for resonance and impedance matching but a perfectly resonant 50 ohm system can be achieved with a little juggling. Although not updated for several years, KØLR's website contains much good information regarding simple backyard LF antenna systems (both transmitting and receiving), preamps and weak signal receiving techniques. It is well worth a close look if you are designing a new 630m station. WC - 332KHz White Rock, B.C. The recent three-night NDB listening event (covering 320-335KHz) was dominated with very high noise levels from the numerous thunderstorms across North America. Although propagation was good, all participants struggled with the lightning noise, as is usually the case when listening on LF during the summer monhts. 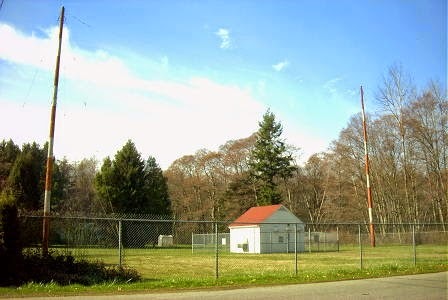 One of the beacons in my log this weekend is pictured above - 'WC' in White Rock, B.C. The beacon is located in a residential neighborhood, with homes on both sides...not a typical NDB location. If you are planning a 630m station, listening for NDB's is a good way to test your system's receive capability as there are hundreds of signals to be heard, many of them very close to our new 472KHz band. An informative Introduction To Beacon DXing by Alan Gale may be found here. To find the location of any NDB's that have been heard in North America, check the always accurate RNA database by Martin Francis. After becoming interested in building and operating '29 style transmitters, I worked with Dennis (VE7DK), a local QSL printer, to design a 1929 style QSL card. Dennis is now in his 56th year of printing cards and is still going strong! I was very happy with the finished results and have used the card to verify all contacts made with the early style rigs. When I next became interested in mid-30's style construction, I decided it was time for another 'era-appropriate' card to match the transmitters. I began searching the web for vintage cards from the mid-30's and soon zeroed in on a card that I found particularly attractive...and from Canada as well. Once again, Dennis came to the rescue and worked enthusiastically with me to try and duplicate the features and look of the VE4 card that I wanted. I think he did a super job once again and this past winter the new cards have gone out at a furious pace as I worked many new stations, all on 10m CW with my 6L6 Tri-Tet-Ten. If you or anyone you know might be interested in a vintage style card (or any type of card) please get in touch with Dennis. I cannot speak highly enough about him and the quality of his work. You won't be disappointed. E-Bay, China, and Free Shipping! I read about many homebrewers purchasing electronics from China on e-Bay. Many of these are major purchases such as test equipment, FM handhelds, antennas etc. The vast majority seem to be happy with their experience while some are clearly not. I recently had the choice of buying from Chinese suppliers when shopping around for a new Rigol oscilloscope but must admit that I whimped-out when it came time to buy and chose to buy from a U.S. dealer who would also honour the warranty. I did end up paying slightly more, considering shipping and exchange rates but I do not regret my choice. 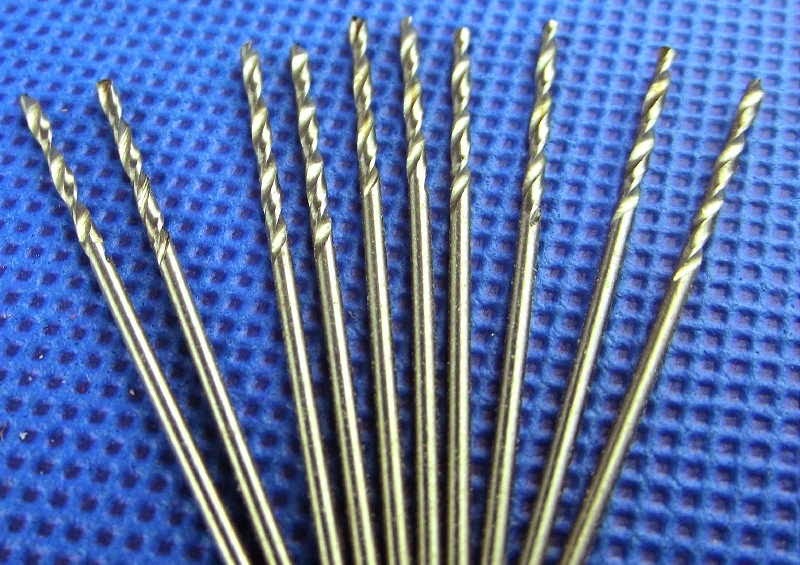 I happily admit that in all cases, I have been very pleased with not only the quality of the items received but also in the service. With the high cost of shipping anything to Canada, I find the 'free shipping' for all of these items to be particularly attractive. Although all of these items are available from many e-Bay sellers in China, I think it pays to carefully search feedback records before purchasing. In many cases, a high rating does not always tell the story. I look for high volume dealers that have very few complaints within the past year. Check what complaints are being made...if it is the quality of what is being sold, then go elsewhere, as some dealers do a high volume of selling junk while others have only single-digit or even zero negative feedback. It will still be some time, if ever, before I feel comfortable buying any high priced items from China but if you were brought up in the 50's, you will probably recall when buying from Japan was an invitation for disaster and look how that turned out! This weekend is the monthly 'Combined Listening Event' or 'CLE'. It is in fact, CLE # 183! 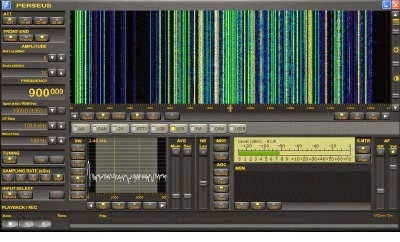 A 'CLE' is a worldwide listening event whereby NDB hunters all focus their attention on a specified 15KHz slice of the NDB band. 'NDB's are low-powered LF transmitters, usually located near airport runways, to aid pilots in navigation. Listeners have three nights in which to try and log all of the NDBs that they can identify and report to the activity organizer, Brian Keyte G3SIA, in Surrey, England. Although the CLE activity is administered through Yahoo's NDBList Group, it is largely the work of one man, Brian, who decides which frequencies will be covered as well as tabulates all of the results in great detail. The CLE is not a contest activity but rather a means of keeping track of which beacons are still active and which ones may have gone silent since the last listening event on those particular frequencies. The frequency range for CLE183 is 320.0 - 334.9 KHz. All of the results eventually end up in 'RNA' or 'REU' the master lists of active NDBs worldwide. 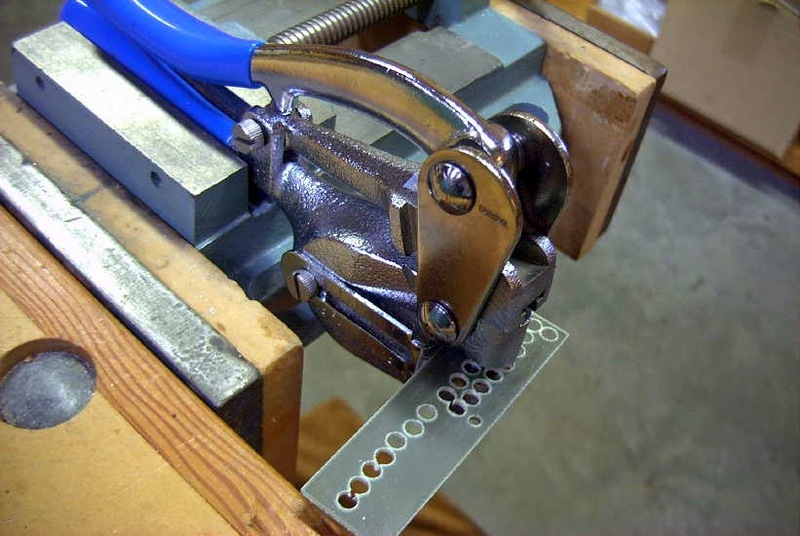 This superb resource is operated by Martin Francis of Richmond Hill, Ontario. Updates to the list are made by Mark Moulding, KU7Z in Ogden, Utah. It truly is an international affair but runs very smoothly. The active and very friendly Yahoo Group is a great place to meet others interested in NDB DXing and is a good place to get started if you harbour any interest in LF DXing. Be warned however, that NDB DXing is highly addictive! It almost seems that NDB's were made purposely for DXers since they do nothing but repeat their call letter IDENT endlessly, in reasonably slow CW. Most NDB's in the U.S.A. run about 25 Watts while those in Canada are usually higher power, especially the further north they go. Surprisingly, these LF signals will often propagate for thousands of miles under good conditions, further fuelling the addiction. As an example, here is a recording that I made from Mayne Island, B.C., of 'UP', an NDB located in Upernavik, Greenland and transmitting on 399 KHz. I'll blog more about NDB DXing at a later time but meanwhile, it's still not too late to get in on the fun of this weekend's CLE183 listening event! More CLE details may be found here. When I built the GW3UEP 630m transmitter, I made one small modification by adding a second FET in parallel with the first. Normally when dealing with RF devices (tubes, RF transistors) in non-switching modes, adding a second device in parallel with the first, always guarantees a significant increase in output power. This is not the case with FETs when parallelled in switch-mode amplifiers. Adding the second FET reminded me of an interesting e-mail that I received last year from Minto, PA3BCA, who uses parallel FETs in all of his LF transmitters. "Adding (parallelling) FETs in an existing TX configuration will indeed not lead to a large increase in power output. It is easy to explain why. 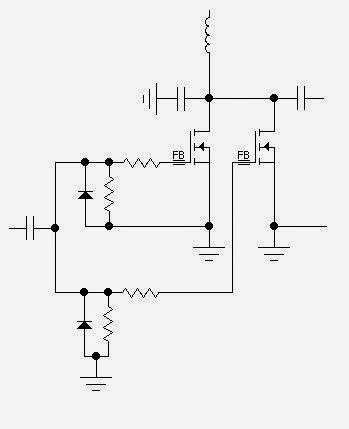 The FET (in class D or E) acts as a simple on/off switch, with a little bit of series resistance (the Rds_on). And parallelling switches will increase the current (and thus Po) only slightly by halving the Rds_on, but this is negligible. A calculation for instance with my PA: 50 Volts, 600 Watts. Say the Rds_on of a FET=0.2 Ohm, so for a single FET the dissipated power is 70Watts. Now with two FETS in parallel the Rds_on is only .1 Ohm. Dissipated power is then only half that of the one-FET configuration, ie. 35 Watts. So 35 Watts less loss in the FETs. But even if all of the 35 Watts so gained becomes output, this is only a 5% gain in output (600 + 35 Watts). Not easy to see on amateur class output meters. The big advantage of parallelling FETs therefore is something else. I did it to protect myself from sloppiness, clumsiness and stupidity. FETs are very easy to parallel. When heating up, the Rds_on increases so dissipated power is nicely distributed over the FETs. By parallelling the FETs, the total dissipated power halves (in this case from 70 to 35 Watts). This means that the heatsink can be smaller or stays cooler. The dissipated power per FET decreases by the number of FETs squared. With two FETs, the dissipated power in a FET is only 1/4 of the single FET configuration. In this case only 17.5 Watts instead of 70 Watts per FET.... 70 Watts dissipation per FET is too much for comfort, there is no headroom and if the temperature gets too high, the FET will die quickly. And secondly, my PS delivers 20+ Amps when short circuited. A single IRFP360 that is already hot will then certainly die (for instance user error by applying forward bias to the gate). Two IRFP's in parallel can easily handle the 20 Amps. So user error (no antenna, variometer way off, screwdriver dropping from fingers and connecting the gate to + 12 volts, had all this happen) until now has never resulted in a FET dying. The flip side is that the Input capacitance and the reverse transfer capacitance also double. That is the reason I added an extra high-current totem pole to drive the FETs. The BC337 / BC227 just were not up to the task. I found it a cheap price to pay! " In my particular case (30 Watts in / 25.5 Watts out), using a single FET resulted in 4.5 Watts of total dissipation while going to two FETs could result in a total dissipation of just over 2 Watts, or 1 Watt per FET. Even when keydown for long periods of time, the FETs are cold. 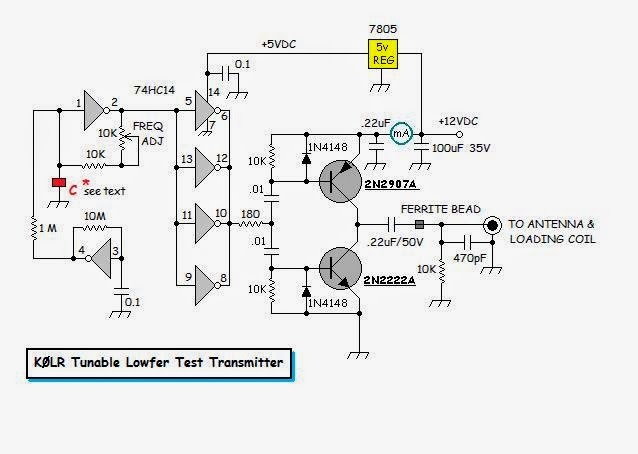 While parallelling FETs would certainly be more rewarding when applied to a high power switching amplifier, even small amplifiers can enjoy some benefits of the extra addition. Before dismantling the little 25W GW3UEP test board in order to repackage it, I tried one more night of beaconing on 475.050 KHz, this time at a little faster speed compared with the previous night. Apparently the thunderstorm activity was at a much lower level as well, resulting in improved reception reports all over. Thanks for the reports and the fun! It sure would be nice to see some more Canadians getting on the band!!! After completing the QRSS tests with the GW3UEP 630m crystal-controlled transmitter, I decided to let it stay running overnight to see how it would hold up and if 25W was enough to 'be seen' on 475KHz. In the morning I received three reports...from Kansas, Illinois and Alaska. "Your signal was in and out here the whole night until local sunrise neared "
The QRSS60 signal is weak but discernible in the thunderstorm QRN at a distance of 1300 miles / 2100km. John Davis in Kansas was battling even worse QRN but managed to catch a small glimpse of the weak signal just before his sunrise. Laurence, KL7L north of Anchorage in Alaska also sent a nice screen capture after setting up one of his many Alaskan Snapper low frequency screen grabbers to watch for my signal. 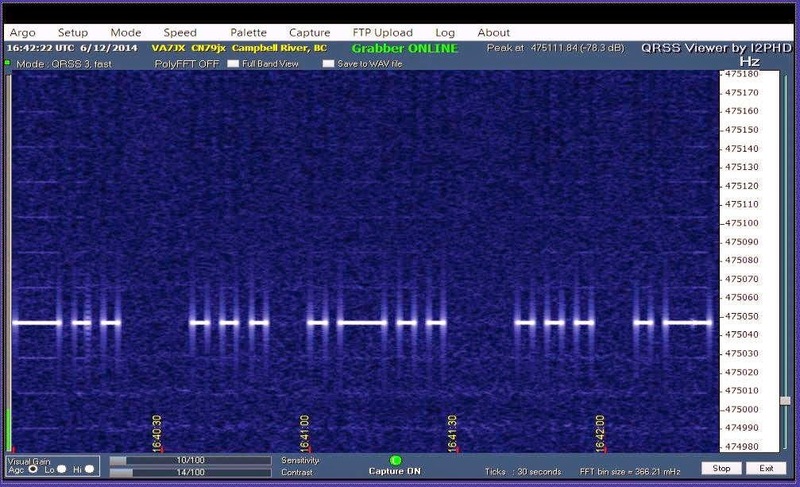 "Nice signal on both arrays - a little weaker on the K9AY ast its suffering from the tx loop coupling at the moment -; this shot taken on the omni and shows occasional small Au doppler spread not seen on the beam - nice signal - AOS 0712 LOS 1105Z"
The path from Mayne Island to KL7L is almost exactly the same as the one to Illinois (1300 miles / 2100km) but unlike the eastern path, this is mostly 'over water' and one with little thunderstorm activity. It seems that the 25W transmitter can do a credible job when run at QRSS60 (something it was never intended to do) if not a bit chirpy. By all accounts, the little transmitter designed by GW3UEP and detailed on his website, is an efficient performer and would be a great 'first' rig for 630m CW. I had the chance on Thursday to run some checks with my GW3UEP xtal-controlled 630m transmitter. Typically crystal oscillators sound stable to the ear but when pressed into the slower QRSS modes where the signals are being observed in very narrow bandwidths, any drift caused by crystal heating will show up pretty fast. I think that anyone building this transmitter would more than likely want to use it for normal CW or perhaps as a beacon transmitter but being able to use it in some of the slow speed QRSS modes would offer significant improvements in geographical coverage compared with straight CW....but, would the little fifty-cent HC-49 crystal have the stability needed for the slower modes? Previous on-air testing between G3YXM and G3NYK has shown the theoretical gains to closely follow actual gains when comparing CW speeds of 12 wpm with QRSS rates of speed. Simply going from 12 wpm to QRSS3 (3 second dots and 9 second dashes) will garner a whopping 12 db improvement at the receive end. Slowing from QRSS3 to QRSS10 yields another 7.6db. If the crystal controlled transmitter is stable enough at QRSS10, almost 20db improvement in readability could be realized....it would be the equivalent of staying on CW but increasing the little transmitter's output power from 25W to 2500W! This is one of the main reasons so much Low Frequency DX work is done in one of the various QRSS modes....to overcome the extreme inefficiency of most backyard antennas used for LF and the subsequent low effective radiated power. Using the VA7JX 630m screen grabber, I was able to observe the stability characteristics of the xtal-controlled oscillator at various speeds as Jack followed along, switching his Argo receive speed to match my own. 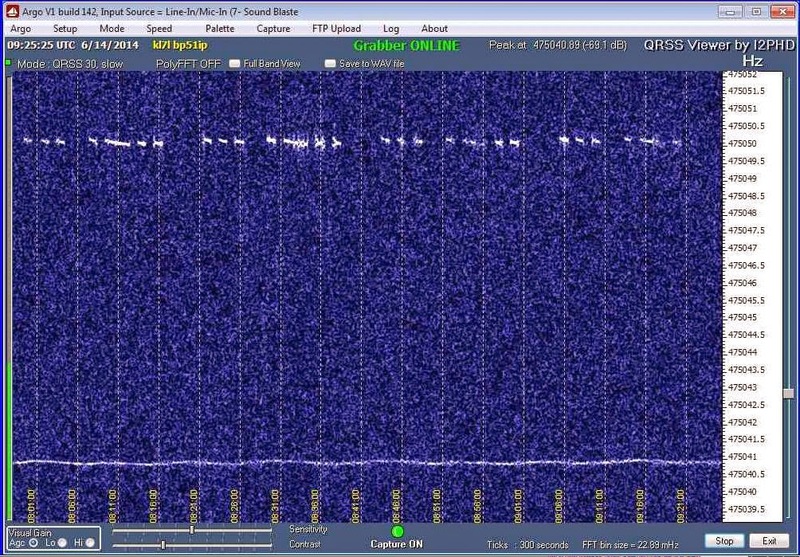 As can be seen below, the oscillator stands up nicely at QRSS3 (3 second dots) while sending "SL". Slowing to QRSS10 (10 second dots) shows things still looking pretty good. At this bandwidth and long key down periods, the drift caused by crystal heating is now beginning to show up and although certainly usable at this speed, it would appear that anything slower than this speed would be even worse. Moving down to QRSS30 will gain almost 2 more db, now at the 6200W normal CW speed. Although more drift is apparent, the signal is still easily readable. QRSS60 (60 second dashes) yields another whopping 3db and the 12WPM CW equivalent of 12.4KW. In spite of the rigours placed on stability, the signal is still surprisingly useful although very 'chirpy' at this speed. The huge improvement in effective equivalent power is of course realized at the expense of time, where just sending my call alone takes about 45 minutes! Two-way contacts have been made at this speed in spite of the time needed to exchange calls and signal reports. Faster speeds of QRSS3 or QRSS10 offer a much more realistic rate of exchange, allowing two-way QSO's to be completed fairly quickly, along with that very helpful 12-20db of signal improvement. I didn't expect this small crystal to perform as well as it did but working in its favour is the fact that any actual drift in frequency is divided down by a factor of sixteen when going from 7.6MHz to 475KHz. As well, the method of keying used during the test was probably the worst one possible as far as stability goes as the entire 4060 oscillator was being keyed on and off for each sequence, requiring the crystal to constantly heat and cool for each character sent. Although keying this way is the easiest method, letting the oscillator run continuously and keying an intermediate stage such as the driver or the final itself should yield even better results. In its present form, it seems that the little GW3UEP transmitter will stand-up very nicely in the faster QRSS modes, and would still be usable at the much slower ones if one was prepared to accept a little drift. With a different keying method and some Styrofoam insulation protecting the crystal, I suspect that further improvements at QRSS30 and slower could yet be made. When I was nine-years old in the fall of 1957, I travelled to a small community in northern Washington state. At that time, square-dancing was a popular activity and my parents were attending an evening dance in the local community center. It didn't take long for me to become bored and wander down the street to the local drug store. In those days, the streets were not as scary for young kids as they are today, sadly. A magazine called "RADIO-TV Experimenter" soon caught my eye. I decided to buy it to read while waiting for my parents to finish and begin the drive home. I was fascinated to learn of an activity called "shortwave listening". I read and re- read the article several times. 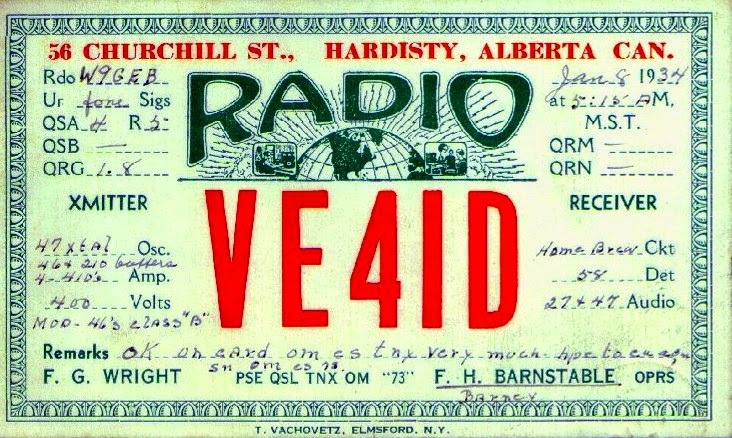 It spoke of being able to hear radio broadcasts from around the world and was heavily illustrated with pictures of QSL cards and lists of foreign broadcast frequency schedules. The next day I told my father about the article and that it sounded pretty interesting to me. He told me that there might be an old radio in the back of my grandfather's barbershop in downtown Vancouver. The next Saturday morning we went downtown to check....sure enough...sitting unplugged in the back corner was a dusty old wooden radio! The 'dusty old radio' turned out to be a 1934 General Electric M61 cathedral model. Little did I realize just how much that Saturday morning trip to the barbershop would so profoundly affect the rest of my life. Upon returning home, the receiver was dutifully lugged up the steep stairs leading to my attic bedroom and then plugged in. To the delight of us both, it seemed to work very well but nothing could be heard on its two 'shortwave' bands. My dad said that he thought it might work better if we strung an outside antenna. Following a short trip to buy some copper wire and two white ceramic insulators, he was soon scurrying along the steep peak of our house with hammer, wire and insulators in hand! I'm sure you can imagine the rest of the story. I was almost immediately mesmerized by the beautiful orange glow of the radio's backlit dial. It was truly a thing of exquisite design and a prime example of the perfect union of form and function. I was soon delighted to discover that a slight pull on the central tuning knob produced a velvety slow tuning rate on the main dial. And stations! Stations everywhere I tuned....yes, this was the stuff I had been reading about! For me, 'sunspots', 'solar cycles' or the 'Heaviside Layer' were still foreign terms as I began to explore this new (to me) world of radio. My attic bedroom soon became the 'listening post' and after a few months of careful tuning and late- night listening, my logbook began to fill with stations from around the world! Friday and Saturday nights became the favorite times of the week for me as it meant that I could stay up late....tuning and hunting for new catches. Little did I know at the time that I was listening at the peak of 'Solar Cycle 19'. The mother of them all. 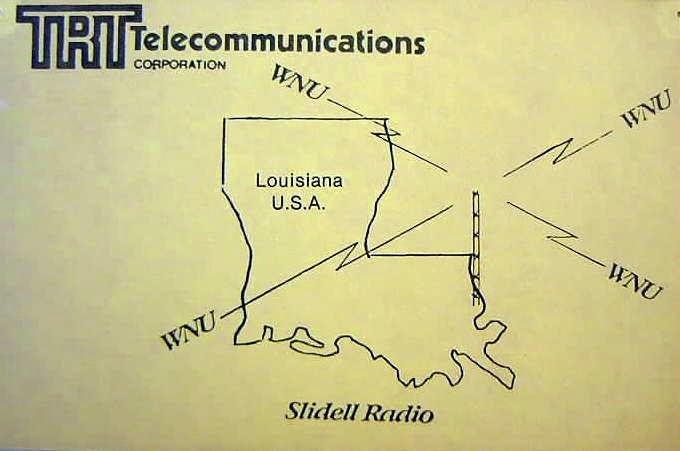 I had simply assumed that shortwave radio was always like this and didn't know that propagation would never be any better than it was right then. 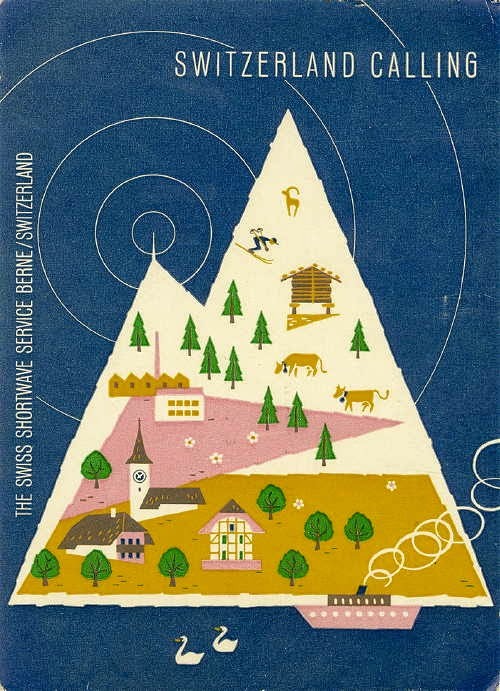 My first QSL was received in due time, the same one shown here, from 'Switzerland Calling'. It arrived in a thick vanilla-colored envelope stuffed with Radio Switzerland information and literature describing their beautiful country. I still remember the smell of the envelope, or its ink, to this day. But imagine.... people in Switzerland sending me, now a ten-year old kid, stuff like this. It must be important. I was hooked. My interest slowly turned to amateur radio after discovering some local DXers on 20m AM phone. One of them was George, VE7ALE, a detective with the Vancouver police, with a thick British accent. I could hear him working ZL's every Friday night but as hard as I listened, I could never manage to hear the weaker signals from down under. For me, this was the beginning of what became a wonderful life-long hobby that I am privileged to still enjoy today....and it all started with an understanding, encouraging father....and a Saturday morning trip to the barbershop. Thanks a million Dad! I put one of these together yesterday and have had it on the air as a beacon on 475.044 KHz. As you can see, it is a perfect example of the 'ugly construction' technique...or perhaps a newer variant more appropriately named 'really ugly construction'. 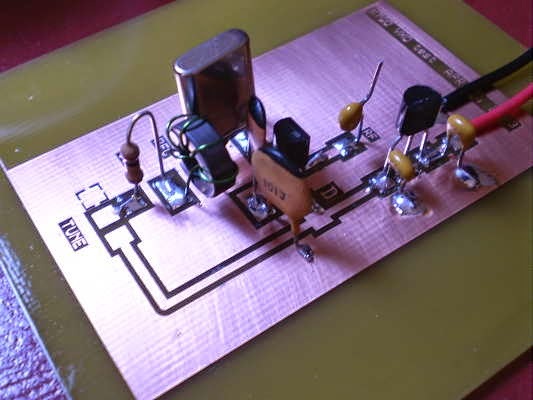 ﻿﻿﻿﻿﻿﻿﻿The design for this transmitter, and several others, is published on the GW3UEP Web site and this particular circuit can be found here. The results of my testing mirror almost exactly those claimed by the author with only a small variation. Using an IRF540 switching FET in Class-E, I am measuring drain current of 2.33A at 12.77VDC, which calculates to an input power of 30W. Measured output into a 47 ohm load is 98Vp-p or 25.5W, for an overall amplifier efficiency of 85%. One thing that I noted on this one, as well as an earlier mock up last year was the need for slightly more inductance in coil L2. As can be seen from the picture, I have fine-tuned L2 by inserting a ferrite bar slightly inside the form. Once I begin the final build I will measure the newer inductance and rewind the coil. As well, I'd like to test this at 24VDC to see what changes might occur with higher drain voltage. The drain and gate waveforms are shown here and from what little I know about class-E circuitry, it looks as though things are still not ideally optimised but are close. Dimitrios, VK1SV, has also published a nice tutorial on his class-E homebrew experience. 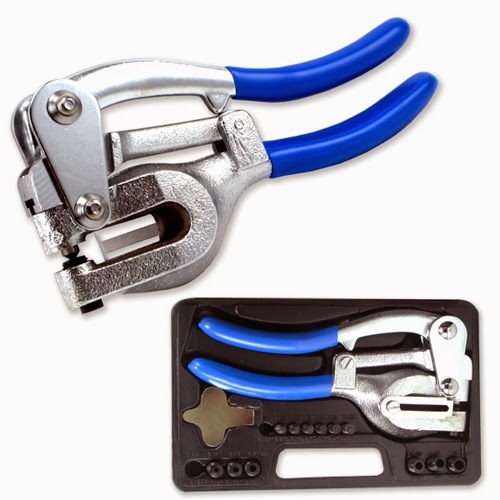 Perhaps cleaning up stray capacities and unwanted couplings in a more 'cosmetic' version will help. Running key down for several minutes seems to generate almost no heat in the FET so the larger heat sink is probably not needed. While testing last night, I used the little transmitter to have a nice cross band QSO with VA7FC on Vancouver Island, about 150km away. With the small parts count and inexpensive crystal (50 cents), this transmitter could probably be built for $10 or less, making a nice starter rig for 630m work. I was excited to read an article by Roger, G3XBM, in the June issue of Radcom magazine describing his experiments in non-line-of-sight (NLOS) lightwave work. Last fall, VE7CA, VE7BDQ and myself built LED lightwave stations, mainly due to Roger's inspirational blogs describing the development and progress of his own lightwave system. 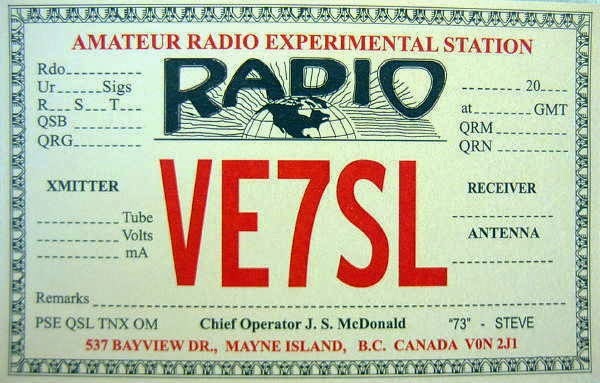 Our local work resulted in two exciting CW contacts between myself on Mayne Island and VE7CA in North Vancouver, about 54km away and on the other side of Georgia Strait. The details of our system and contacts will be the subject of an upcoming article in 'TCA', the Radio Amateurs of Canada journal. Although VE7BDQ did not build a transmitter, we did have one unsuccessful NLOS attempt, hoping to catch a signal from the bottom of a somewhat unstable cloud layer. Roger's article describes the results of his low power 'clear air scattering' tests and levels of signal detection at varying distances. His success in this mode has given me renewed hope of eventually being able to cross the water via this method and maybe even doing it without the cloud layer! Our systems used a 556 tone generator to produce a keyed 600Hz tone, but I think Roger's approach of using a crystal oscillator / divider as the tone source will likely produce a much more stable signal and one that would be easier to spot on a slow speed Argo or Spectran screen, as any attempts would be run in slow speed CW QRSS mode. For more on Roger's excellent lightwave activities and NLOS experiments, visit G3XBM's Lightwave Blog pages that cover these topics. If there are any others in the Vancouver lower mainland region who might be interested in joining in the lightwave fun, we would welcome your help....this is one activity where "the more, the merrier" is surely the case! 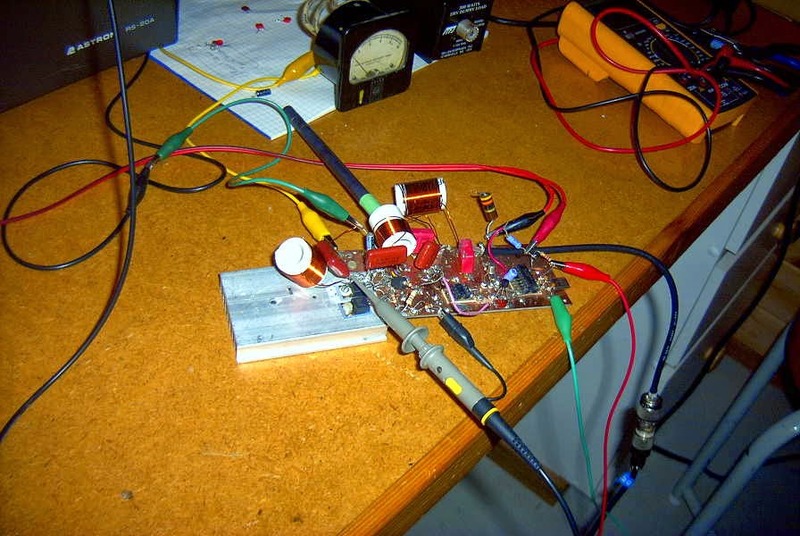 Over the past few months, several members of Yahoo's "qrp-tech Group" have been busy homebrewing their own versions of "The Ugly Weekender", a QRP transceiver originally designed by Wes, W7ZOI, and published in QST of August, 1981. 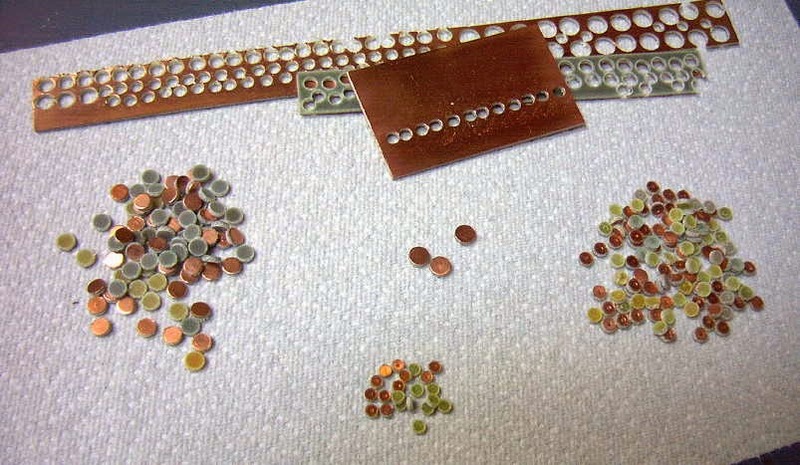 It has become one of the Groups "sandbox" projects, spearheaded by Chuck, K7QO. 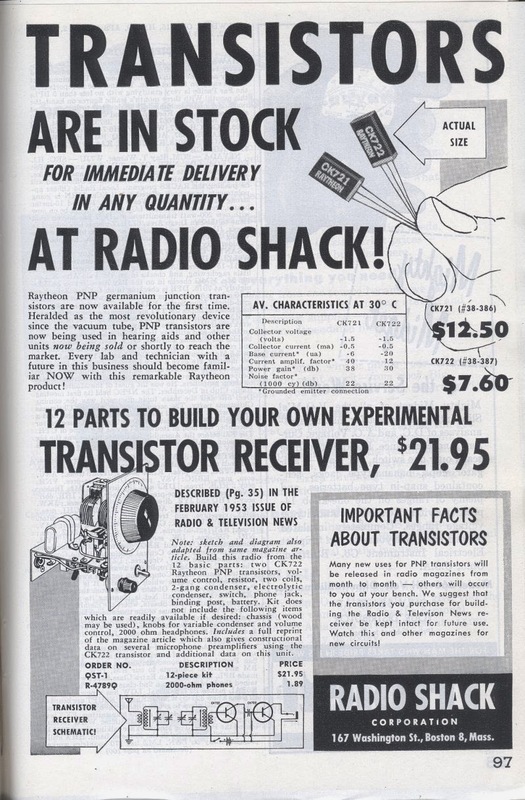 celebrate the 60th anniversary of the transistor radio. Let's not over engineer this and get crazy. BC band only. early radios and they were a while away from being used. for your build, but I'm personally going with the simpler times. 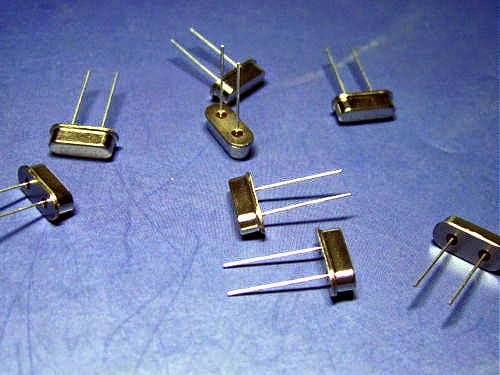 IC and no NE602 mixer, etc. for the purpose of learning something and sharing information. Help the new guys and girls who want to try something different. will see Vol 1 by Robert J. Brite and Vol. 2 by Charles A. Pike. There is a Vol 3 and Vol 4, but I have had no luck in finding them. Is there a good online course on transistor theory with labs? candidates for a study group. The world's first 'pocket transistor' radio was sold in 1954 by Regency. To read more about the fascinating history of the 'transistor radio' and the Regency in particular, visit Steve Reyer's Website. It's wonderful to see such interest in the art of homebrewing and it will surely be fun to see the end results of Chuck's latest seed planting. 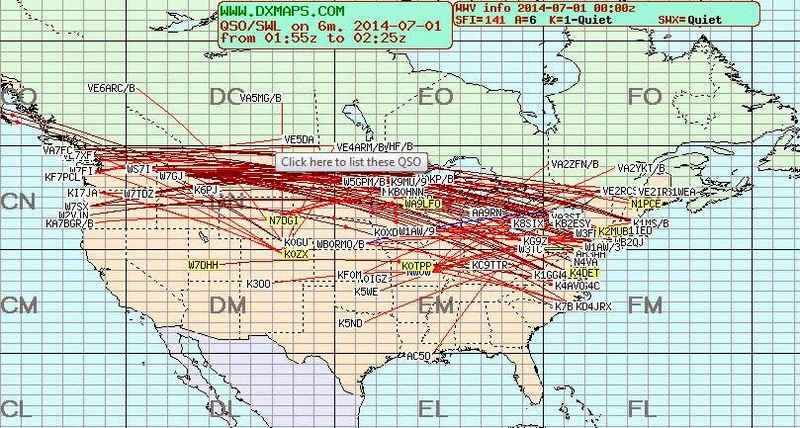 K0GU in Colorado demonstrated, once again, why 6m is so affectionately called 'the magic band'. 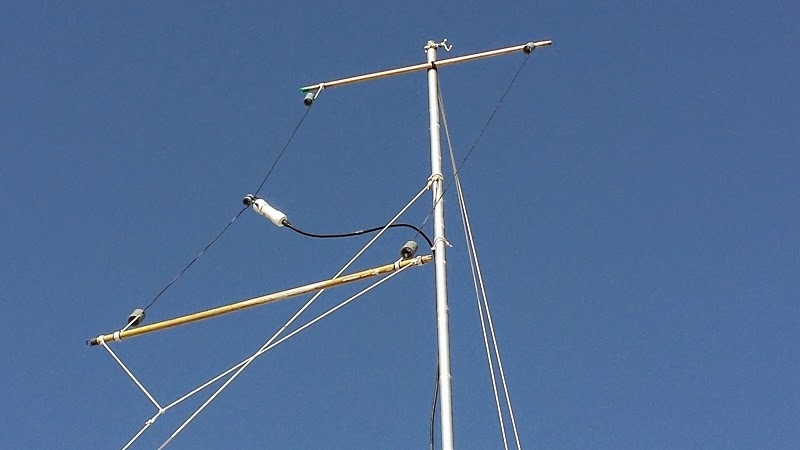 Jay was hearing no signals at all on six on Wednesday morning, June 4th, but being a veteran 50MHz DXer, he did notice a weak video signal on 49.750KHz coming from over the pole. Until recently, when most TV stations worldwide switched to digital and abandoned the low band VHF range, TV video carriers were great propagation indicators for possible intercontinental propagation. Being right next to the band's edge, their distinctive raspy video carriers were often the precursor (and just as often 'not') to some interesting propagation. Sadly, almost all of these prop indicators are now gone, save for a few in Russia and in the middle east. With that in mind, Jay sent a few CQ's with his beam pointing over the North Pole and at 1543Z he heard a weak reply on 50.102 CW. It was JY9FC in Amman, Jordan! What was even more remarkable was the simplicity of JY9FC's station and antenna...100W and a 2el wire beam! "He is not very strong but hanging in. Thanks all, I'm shaking like crazy and that doesn't happen often these days." 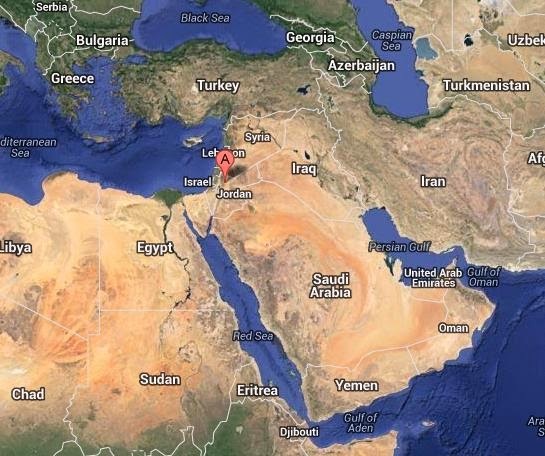 Is it no wonder, when the only signal on the band was from Amman....pure magic!